If you are interested in petting a bearded dragon, it will be a good idea to choose the baby one. However, you have to know about baby bearded dragon diet. Bearded dragon belongs to omnivores and usually eats various insects, vegetables and fruits. 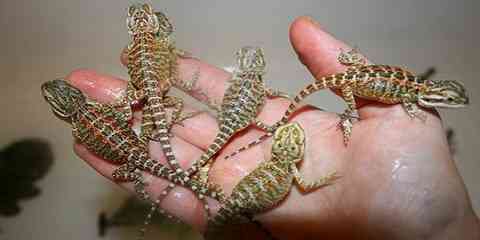 But it is not that simple because baby bearded dragon needs a varied diet so that you have to know more about it. Mostly, wild bearded dragons eat animals. Around 75 percent of baby bearded dragon foods include worms, cockroaches, crickets, and even mice. Other foods eaten by a baby bearded are such as fruit, vegetables and also greens but only about 20 to 25 percent of the diet. 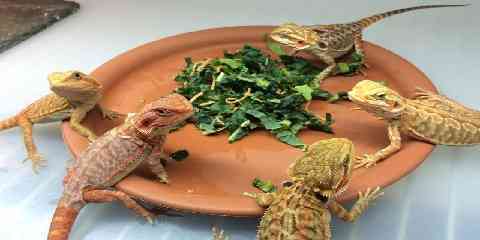 The foods eaten by baby bearded dragon should include greens, fruits, vegetables and of course meat. The last one becomes the most favorite foods to eat. However, you must know that as the baby bearded dragon gets older, eating meat should be reduced because it can cause obesity. Anyway, the most important things related to baby bearded dragon meals are about how much & how often you feed yours. Baby bearded dragon may eat meats. In this case, the meat is in form of insect. The most common insects usually eaten by baby bearded dragon are locusts, cockroaches, earthworms, waxworms, kingworms, mealworms, and crickets. 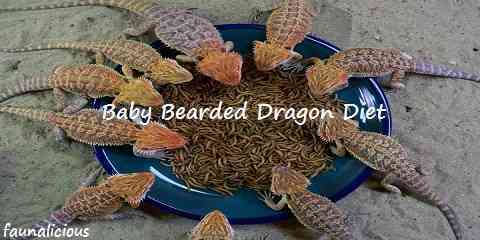 As it is mentioned above, baby bearded dragon dietary also includes fruits. 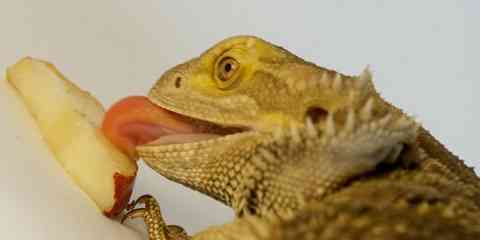 There are various kinds of fruits usually eaten by baby bearded dragon. They are kiwi, plums, apricots, peaches, dates, papaya, mango, apples, melon, and figs. 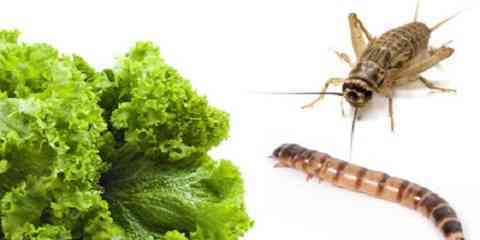 The next kind of food related to baby bearded dragon diet plans is vegetable. Some vegetables are recommended for your baby bearded dragon such as broccoli, ocra, bell pepper, sweet potato, butternut squash, courgette, green beans, and peas. Baby bearded dragon may also love eating greens. Here are the most favorite greens eaten by baby bearded dragon. They include kale, collards, clover, parsley, coriander, rocket, endive, mustard greens, turnip greens, and dandelion greens. Besides, there are also some foods that can be eaten by a baby bearded dragon occasionally. They are cucumber, grapes, banana, grated carrots, pears, blueberries, tomatoes, and sprouts. In this case, you have to peel off or cut down the fruits into smaller so that your baby bearded dragon can eat the fruits well. You should not let your baby bearded dragon eat it because it contains little nutritional value. Both of them contain chemicals. They can cause a big problem called calcium deficiency and it may lead to the worse condition called metabolic bone disease. They are not allowed to be eaten because they usually have parasites.